Last week we enjoyed some Monster Fun at preschool. Using our homemade no-cook black play dough, wiggly eyes, pipe cleaners, craft sticks and feathers, the children created play dough monsters. 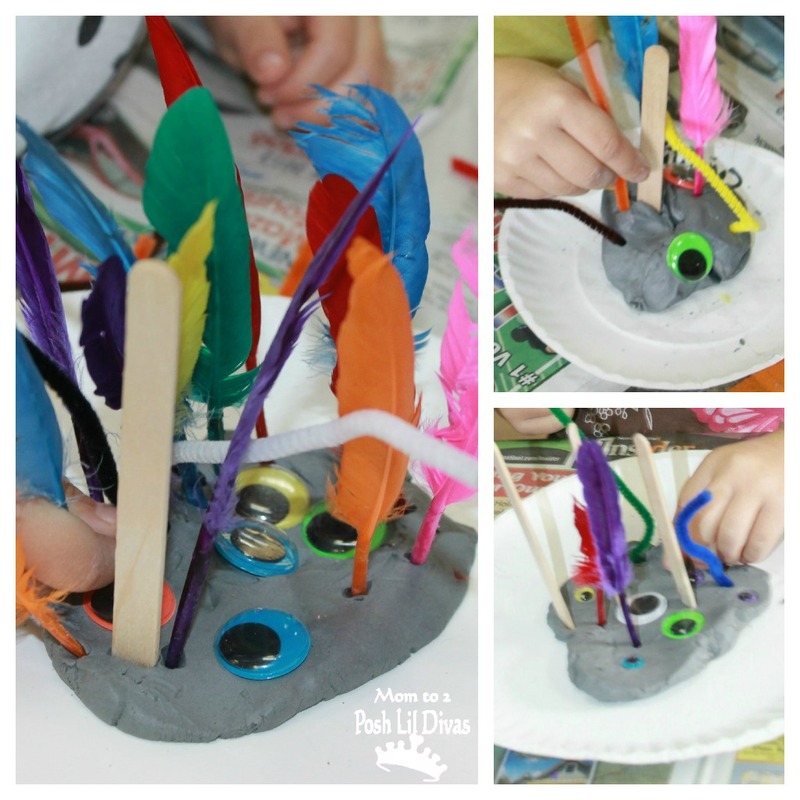 They LOVED this activity and it was popular all week long. 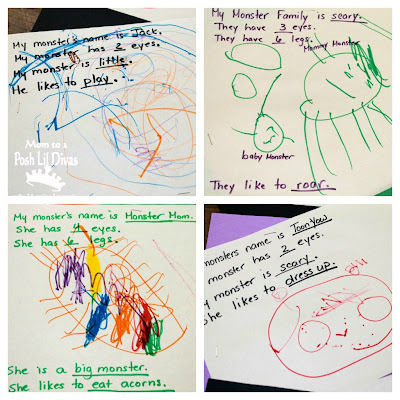 The children drew monsters and then told me stories about them. 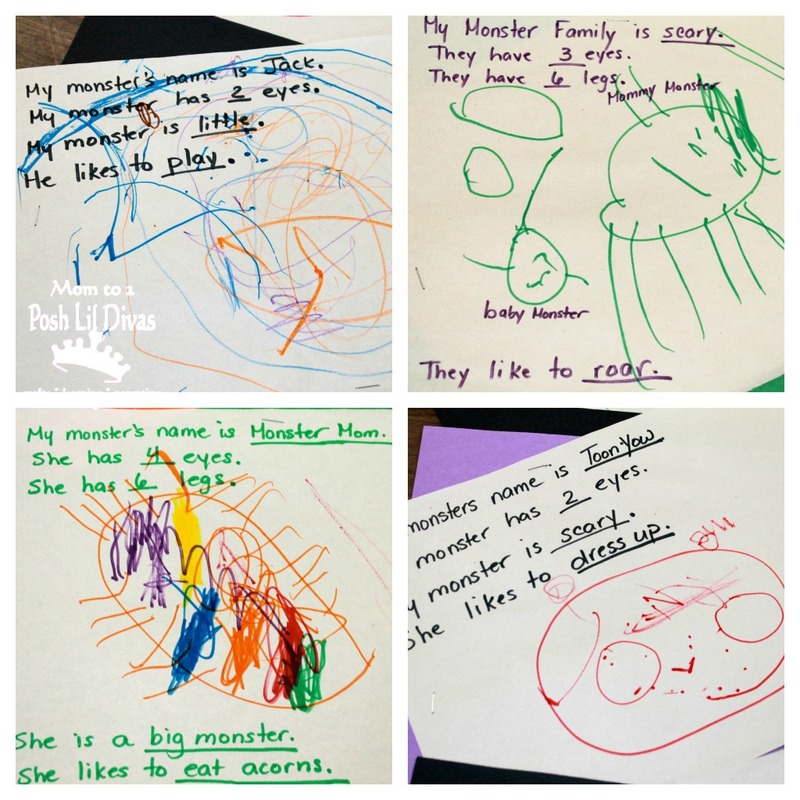 I prompted them with questions such as - What's your monsters name? How many eyes does he/she have? What does you monster like to do? Tell me something special about your monster. The children loved our play dough monsters so much that I decided to let them make clay monsters that they could take home. They were so proud of their little monsters and so pleased to be able to take them home. 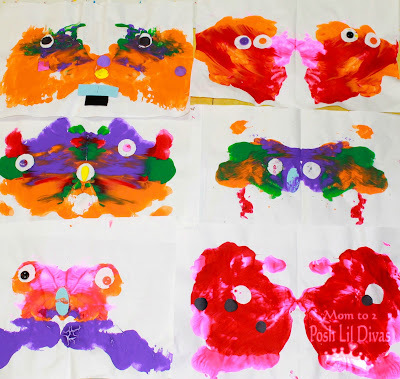 My favorite art project of the week was definitely our blot paint monsters. Each one turned out so unique and fun. 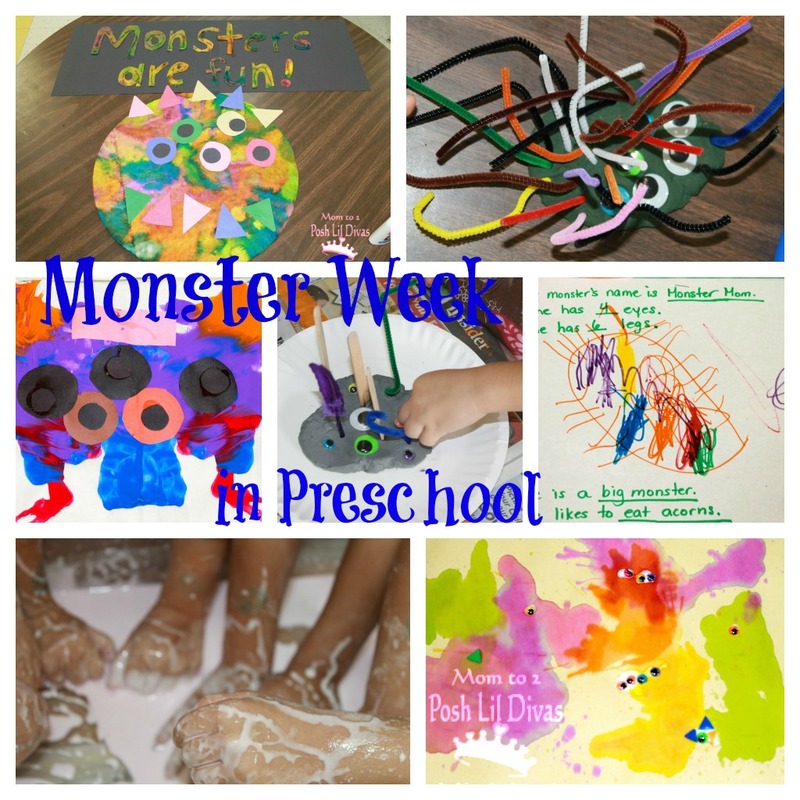 Another fun activity was our blow paint monsters. We used pipettes to add watercolor paint to our paper and then the children blew the paint around with straws. It was fun to see what they "saw" in their blow paint splotches. 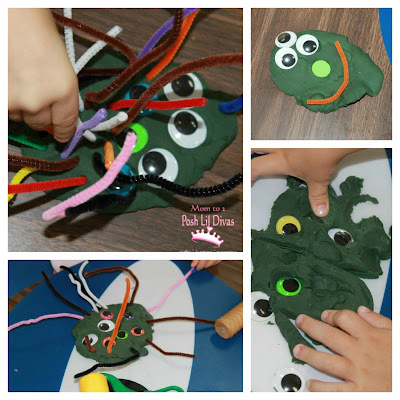 To make their monsters we used wiggle eyes and various shape stickers to make teeth, horns, etc. We also made some great paper roll monsters though I unfortunately didn't have my camera with me the day we made them and then forgot to take photos of the finished products all week. I hung them from the ceiling and they look so fun in our classroom. 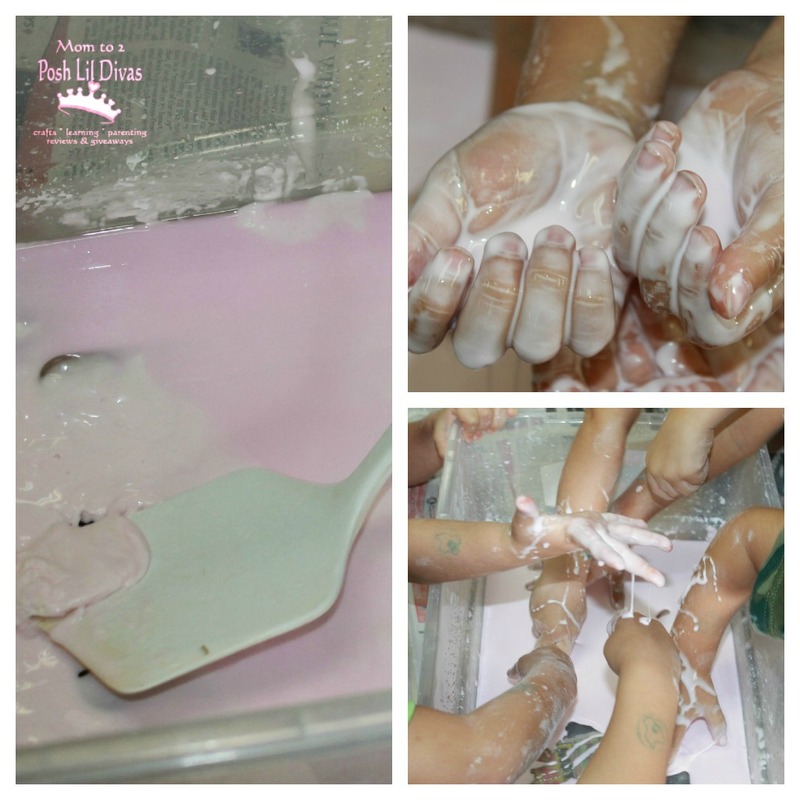 For our science activity we whipped up a batch of Monster Goo - using corn starch, water & some food coloring. What messy fun! 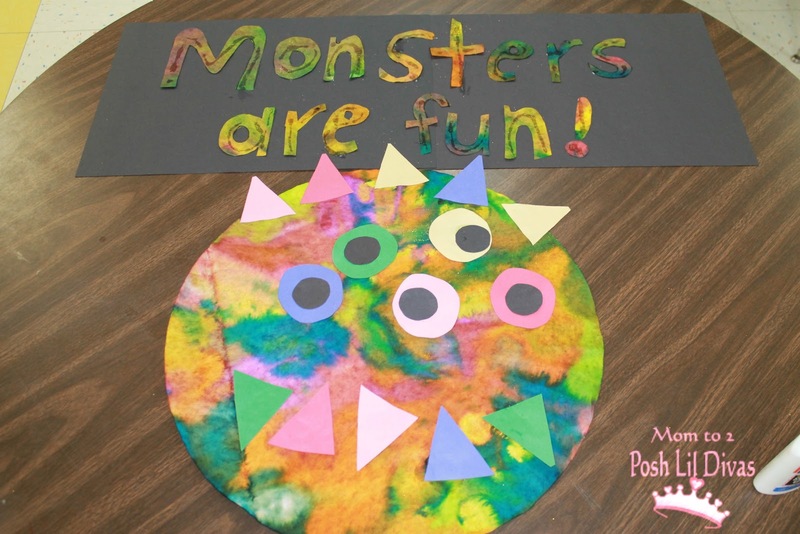 We also did lots of Monster Math using monster templates and wiggly eyes. Even our potato heads took on a monster feel this week - how cute is this? I love the children's creativity. This particular "monster head" has 2 noses :) Some of them had numerous arms, eyes, ears, etc. Isn't this monster fun & cute? Just looking at him makes me smile. 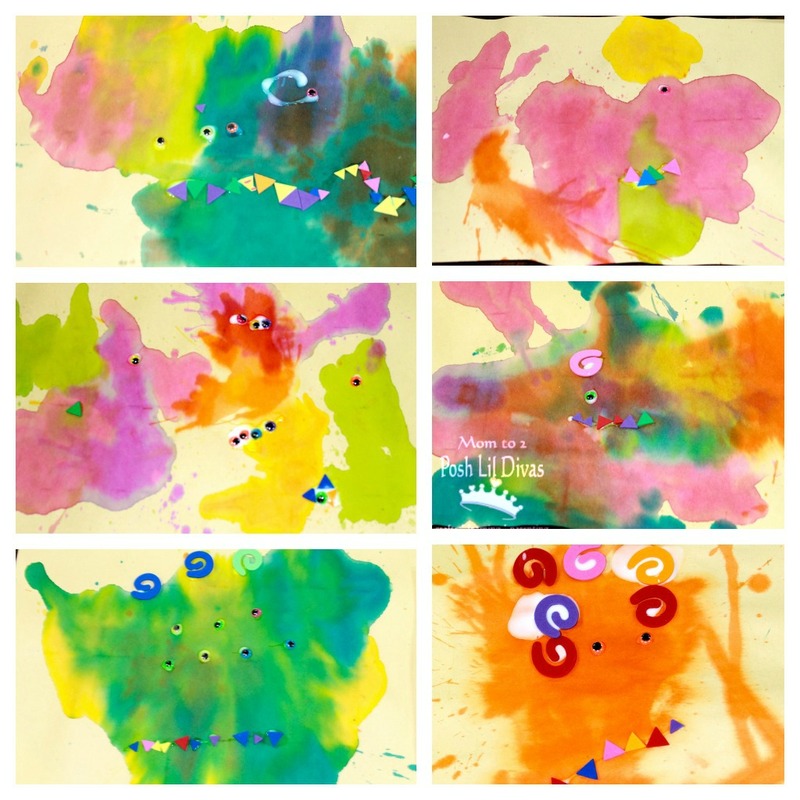 We made it out of a huge coffee filter that the kids worked together to paint with watercolor and pipettes. 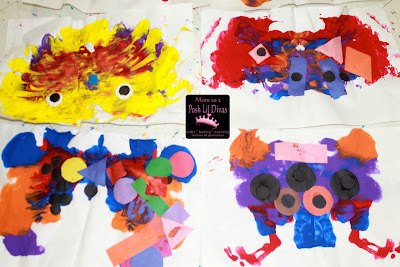 Then using construction paper shapes, they created a face with eyes, sharp triangle teeth and horns. We hung it up outside with the sign I made from another decorated coffee filter to display our fabulous monster art from the week. Sure looks like fun to me. 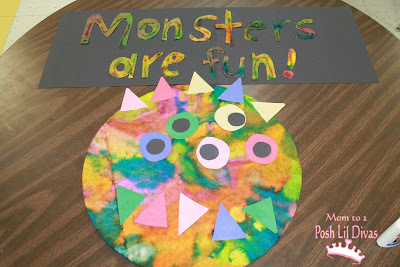 I'm going to add this to my Spooktacular Smorgasbord of Simple Science & Sensory Ideas. Have a great day! 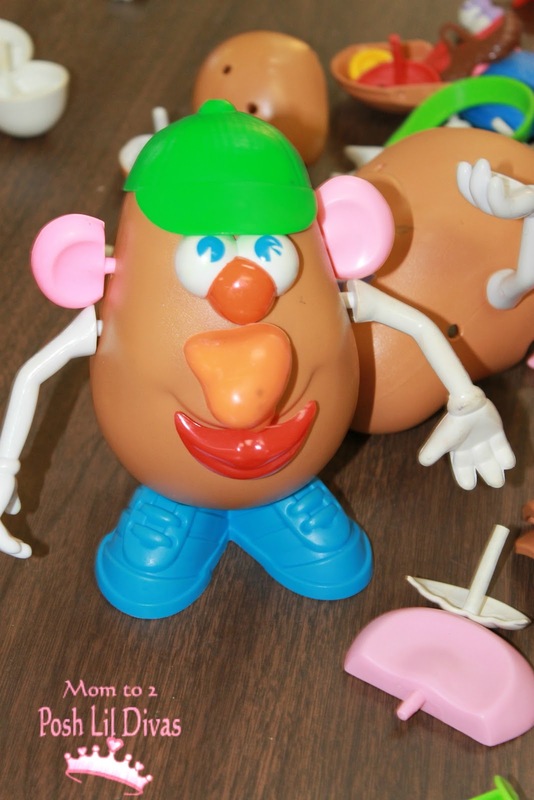 Love all of your creative ideas! such a cute unit I want to make monsters now.